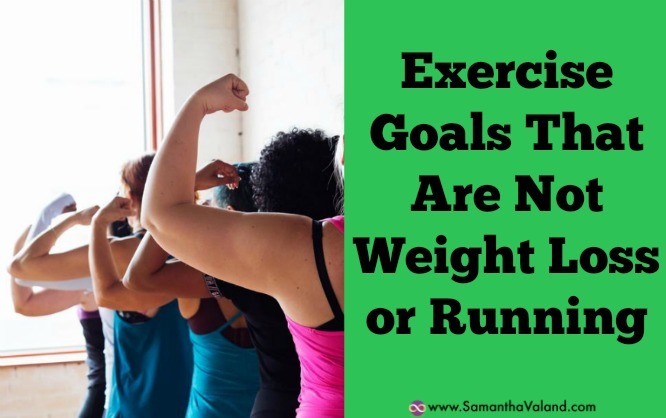 Goals are a great way to keep exercise interesting and to keep you motivated. Running or losing weight seem to be the most common goals. During the menopause, you may find you have to find a different way of exercising as you may not have the energy for your previous exercise routine. Thinking of your exercise routine as a seasonal and adapting as you need to is a useful approach to keep moving! Having goals that are linked to an ‘exercise for life’ attitude can really help to shift your view of exercise away from a means of burning calories to lose or maintain your weight, to being healthy and active for a very long life. Setting a goal that you are going to exercise a specific number of times a month or a year is a great idea, particularly if you like to ‘tick the list’. Then keeping a note of how many times in the year you exercised. Be realistic with the yearly figure you are aiming for and keep in mind your holidays, the odd sick day or overtime at work etc. This is a great approach during the menopause when your energy levels may fluctuate, as you are not being specific about what type of exercise you do. Your focus is on doing something, anything, just to exercise on a regular basis. Example: 52 weeks in a year, twice a week with 4 weeks holidays would be 96 times a year. You simply start with #1/96 and keep rolling through the year! I personally find this quite difficult to do as I like to plan my routines, so to get around this I have a couple of gym plans, one for when my energy levels are good and one for when it’s not! #amplanning! You may focus on going to a particular class once a week, such as yoga/Pilates/Tai Chi. Something that feels good but in a different way to cardio types or traditional exercise. 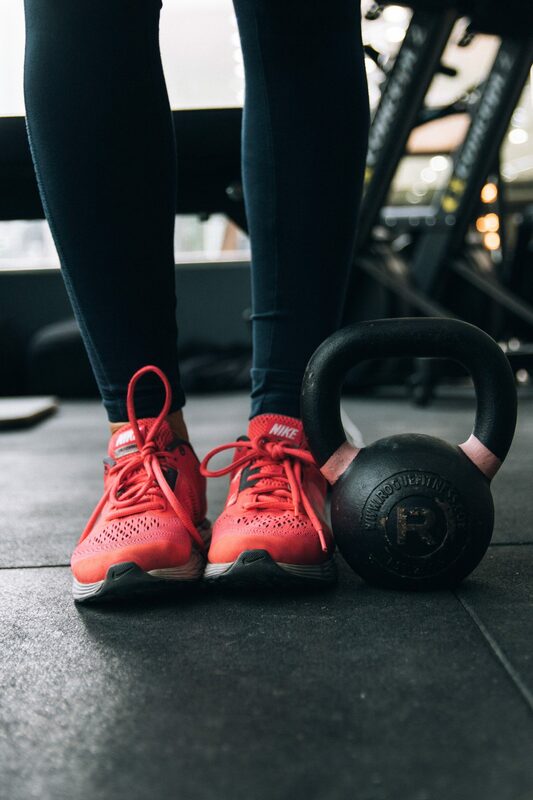 While you often get these classes in your gym, you can often progress quicker going to a beginner’s block of class rather than general drop in class – you can read my blog here. Example: 52 weeks in a year, once a week with 4 weeks holidays would be 48 times a year. You simply start with #1/48 and keep rolling through the year! learn how to use a new piece of equipment. Most gyms have an extensive range of kit these days. You could add kettlebells, power-plate, medicine balls, battle ropes or even fixed resistance kit if you haven’t used that for a while. Do an inventory of your gym stock and how you can start to use it differently! Always ask for help if you need it for instructions or pointers or perhaps there may be a class dedicated to it. try a new class every month. It is phenomenal the number of classes there are available nowadays. New classes and new teachers are great for not only introducing new ways of working out but also stretches. It can be amazing the way exercising slightly differently feels and you may decide to incorporate that into your session or take up the class regularly. As it sounds, a snowball goal is something that starts of small and gathers pace and size as you maintain consistency. Your skill level increases and your strength improves. It may not be something as drastic as an injury that triggers, but you don’t get into your forties without having a niggle somewhere or perhaps your job has caught up with you and you need to unpretzel yourself. improving posture – hello Pilates! stay in savasasa for 5 minutes without fidgeting! How do you plan to exercise in twenty, thirty- and forty-years’ time – yes I know I’m a planner! When I did this review, myself I realised that both Hatha Yoga and Pilates where going to be the stable parts of exercising in my nineties. So, completed my yoga teacher training as I may as well be teaching yoga as well as Pilates! In my experience, when older people come to Pilates for the first time, they struggle more with taking instruction rather than the exercises themselves which can easily be modified to suit any body. So, I believe it’s useful to start your very long exercise goals today. What do you think you will be doing in the future? The menopause is often a season where resting and stretching is the workout for some, as high intensity exercising can exasperate your menopause symptoms. But that doesn’t mean you can’t look at what you plan to do after this phase and the things that you can do to support that. I plan to run again post-menopause so I am looking at what I can do to ensure I have an easy transition at the other side and not starting at the bottom! Osteoporosis affects one out of two women post-menopause. However, most are not aware as you cannot feel that your bones are weak. It is often not until a woman breaks a bone that they are then tested and can find out then if they have osteoporosis. There is a saying that ‘osteoporosis doesn’t break bones, falls break bones’. Improving your balance is a great age-proofing goal. It might be included in a class you do already or something new you include in your weekly session. There is a big difference between giggling in class how bad your balance is in your forties and worrying about it in your eighties. You may want to improve all over flexibility or have a particular area of focus. Perhaps it is to balance out your posture while you spend extended periods at work? Sometimes a yoga class is great if you are looking for all over improvement in flexibility. But keep in mind that many yoga teachers are naturally flexible, which means they may not have had the same journey as you to get into a poase. If you are being specific, then your stretches need to be specific to and not just what someone is randomly teaching in a class – see drop in versus block classes! Myofascial release is part of flexibility and you may already be using a foam roller or grid in the gym. Adding regularly into warm up routine is good as is a class. You may find classes called ELDOA which may be more beneficial too you. There is lots of research which suggests that choreographed exercise to music is a great way to improve cognitive function. It’s easy to look at this type of exercise as just good for our hearts and lungs but there are other benefits too. There is something about remembering a sequence of movements that go with music that feels incredibly satisfying! 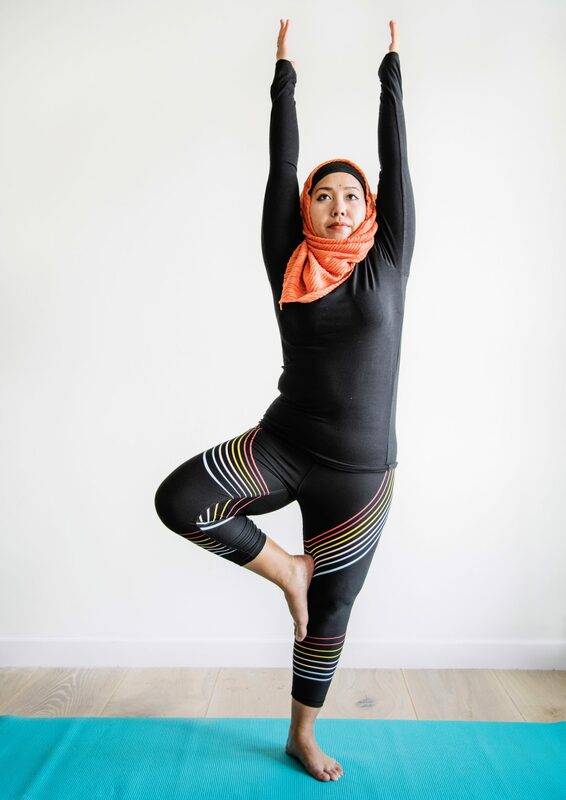 Both balance and coordination can be found in other classes such as Pilates and yoga, but this can often be dependent on the class instructor. Where can you add it into your exercise routine that you are performing balance tasks and tasks that require coordination? One of the indicators of health is getting off the floor without using arms or legs (see video here). This is a new movement pattern to learn, as I think most people would naturally use the floor to help themselves up – your body will always take the path of least resistance! This is a low energy goal, so it’s great for the seasons where you don’t have much energy. It’s quite a satisfying goal and good for the brain too! Taking a month or two and focusing on improving a particular movement pattern is a great long-term strategy, that can keep repeating. You are probably doing most of them already: lunge, squat, deadlift, push, pull and rotate. Interesting note that most yoga and Pilates classes don’t include very many pull movements. Similar to movement, take a month and focus on improving range of movement around a joint. I would start at the bottom – ankle joint and work my way up to my head. We often don’t pay much attention to our smaller joints but they can affect your movements. If you don’t have much flexibility in your wrist joints, it will affect other movements when you start on your hands and knees such as plank or superman movement. So this may be a snowball goal! ‘There is a saying that motivation gets you started and that habits keeps you going. Building habits that help keep you motivated are key to keeping you moving and healthy for life.